The Best Disability Podcasts from thousands of Disability Podcasts on the web using search and social metrics. Subscribe to these audio podcasts because they are actively working to educate, inspire, and empower their readers with frequent updates and high-quality episodes. Disability Podcast newsletter is a comprehensive summary of the day's most important audio podcasts episodes from the best podcasters on the web, and delivered to your email inbox each morning. To subscribe, simply provide us with your email address. About Podcast Learn priceless tips and first hand experience stories from weekly podcast interviews of successful entrepreneurs and amazing people who focus their efforts on helping people with disabilities. Facebook fans 382. Twitter followers 9. Pittsburgh, PA (US and Canada) About Podcast Competitive employment and empowerment for people with disabilities is the emphasis of this show. Broadcast live and captioned in real-time for individuals who are deaf and hard of hearing and discusses how people with disabilities can secure career opportunities and how employers, organizations and individuals can support employment and empowerment of people with disabilities. Facebook fans 1,141. Twitter followers 1,186. Facebook fans 1,175. Twitter followers 41. New York, USA About Podcast The Accessible Stall is a disability podcast that keeps it real about disability. Hosted by Emily Ladau and Kyle Khachadurian. Facebook fans 805. Twitter followers 938. About Podcast A half-hour radio show providing critical coverage of disability issues and bringing the insight of the grassroots disability movement to the general public. Pushing Limits advances the voices of people who live with disabilities. It is produced by a collective of media makers and activists who themselves live with disability. Facebook fans n/a. Twitter followers 22,000. Chicago, IL About Podcast Nicole Kelly and Sarah Tuberty powerfully deconstruct disability through candid conversations with experts exploring topics related to disability. They look to educate, empower, voice, and build a more inclusive society. Facebook fans 517. Twitter followers 30. About Podcast Join DSC's podcast series with hosts Roland and Evie Naufal as they chat with interesting guests who have carved their own path in the disability sector revealing battle scars, imparting wisdom and talking straight about their journeys. This podcast aims to have the kind of conversations that come about when passionate people aren't afraid to speak their mind and would rather start a fire than put it out. 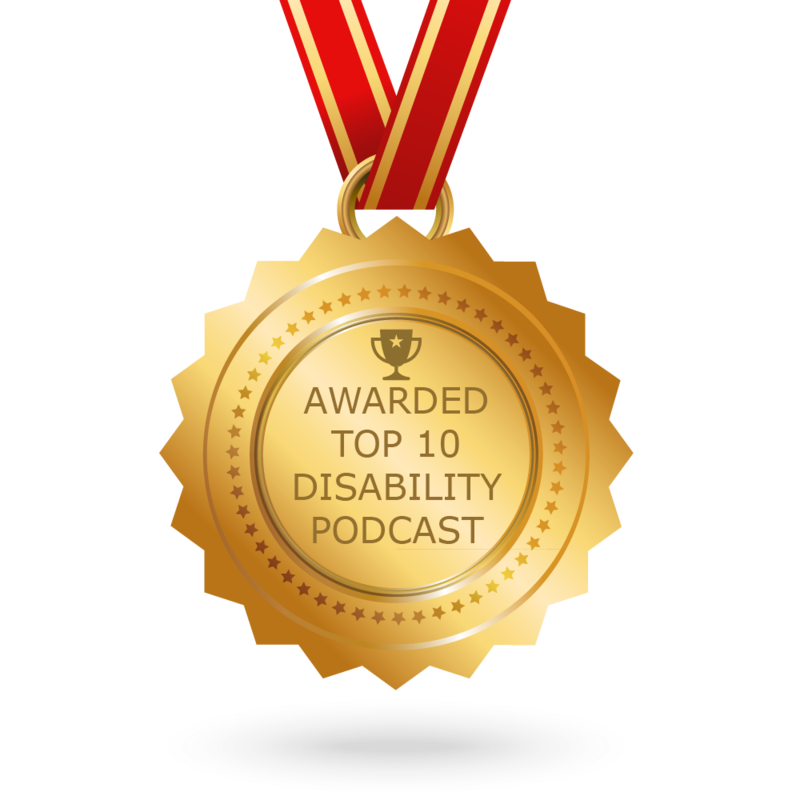 CONGRATULATIONS to every podcaster that has made this Top Disability Podcasts list! This is the most comprehensive list of best Disability Podcasts on the internet and I’m honoured to have you as part of this! I personally give you a high-five and want to thank you for your contribution to this world.